Emily joined BookSpring in 2015 and is a strong believer in the long-term benefit of early childhood literacy and creativity interventions that encourage intrinsic motivation. She’s seen first-hand the positive impact of children’s exposure to self-selected stories and sensory-rich thematic materials. 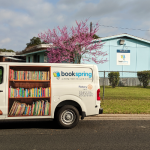 Emily shares BookSpring’s passion for access to books and envisions extending these benefits to all children, no matter their cultural background, ability, or economic status. She’s particularly proud of representing BookSpring into the Philanthropitch/Mission Capital Accelerator Program, of securing a new Van and an additional portable building for our operations, and launching new partnerships with the Andy Roddick Foundation and St. David’s Foundations. She’s grateful for the support of The Honor Roll, which has been instrumental in restructuring the BookSpring programs into Ed, Rx, and Go, and launching the 20 Books by 2020 campaign. 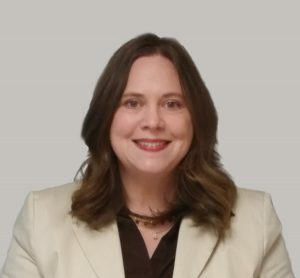 Before coming to BookSpring, Emily produced two Massive Open Online Courses (MOOCs) and companion enhanced e-books, Age of Globalization and Ideas of the Twentieth Century, and helped launch the Center for Open Educational Resources in Language Learning (COERLL). She launched and ran an inclusive early childhood literacy program called Start With the Arts for VSA (Very Special Arts) Texas and enlisted 74 partner districts and agencies statewide to train over 3000 teachers in inclusive, arts-based education in all subject areas. She served as Development Director of ZACH Theatre from 1999-2003, and wrote and managed many successful grants and sponsorships for the University of Texas Performing Arts Center (now Texas Performing Arts). As a former teaching artist in creative drama, she draws upon many years of classroom experience at the college level and informal education programs through community-based organizations such as The O. Henry Museum, The Cleveland Play House and The Michigan Young Playwrights Festival, often using high-quality children’s literature as the basis for making, sharing, and reflecting upon stories. Often, this work was inclusive of children with disabilities and focused on culturally diverse, low-income and at-risk youth. Emily is no stranger the non-profit world, having served on many boards and helping to found several non-profits. In 1996, she co-founded the local writer’s membership organization ScriptWorks and led a statewide multicultural creative writing program for at-risk middle and high school students called The Texas Young Playwrights Festival. 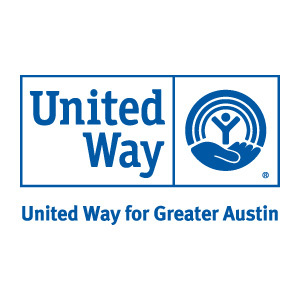 A collaborative with the City of Austin, the program was recognized nationally for excellence by the President Clinton’s Committee on Arts and Humanities “Growing up Taller” award. A published and award winning author, she writes often for a variety of publications about the arts, education, and the Internet. Emily has been resident playwright of The Pollyanna Theatre Company since its inception, which produces and tours new plays with professional adult actors for young audiences. She was a James A. Michener Fellow in Screenwriting and Playwriting and in her teens and early twenties performed professionally in regional theatres and Shakespeare festivals in the Northeast. A true lifelong learner, she’s currently a doctoral candidate in Organizational Communication and Technology from the Moody College of Communication with completion expected by the end of 2018. 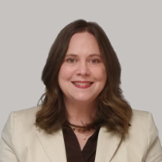 Her research explores and describes how an optimal awareness of the impermanence of organizations might positively impact organizational performance, including improved financial resilience and positive social impact. Her methods include both qualitative and quantitative content analysis. She is honored and humbled to be growing with BookSpring and enhancing the love of reading in children and families for life.